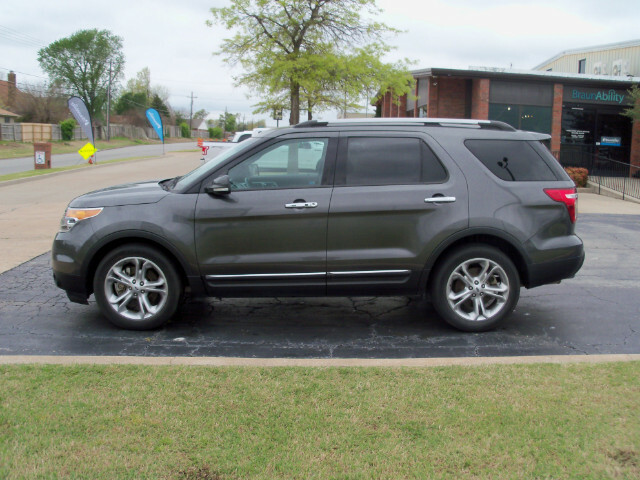 Outstanding 2015 Ford Explorer Limited...FWD V-6 with all the extras...leather, dual power and heated seats, backup camera, Ford's SYNC technology and much more...low, low miles and priced to save thousands! Call Kelly Jones at 918-665-1919 for all the details or to schedule a test drive. We're located at 7215 East 46th Street in Tulsa, OK ... thanks for your interest! Visit Transportation Motor Sales online at www.transportationmotorsales.com. PLEASE BE ADVISED, while every reasonable effort is taken to ensure the accuracy of all data on our website, we are not responsible for errors or omissions contained in these pages. Please verify any information in question with our sales representative.